3D Floor Plan gives you a better view of the building before construction imagining the whole building in mind and in imagination would be a total impossible one, other than for professionals like architects and interior designers. It is impossible for anyone to imagine a building by simply looking at a plan for it. An ordinary person would find a building or huge house plan as a big puzzle in front of him which is nothing but a set of squares and rectangles. But, wait! There is a science behind that which provides you a perfect set of doors, windows, rooms and much more to make your home-dream come true! The standard floor plan usually contains location of the walls-both interior and exterior; windows and facilities which are inbuilt like shower panels, closets, cabinets, electrical outlets, beams, and more. The information regarding the architecture from horizontal to vertical views can be seen in them. With the help of 3D Visual Services in Jaipur, 3d floor plan design, you will be able to see the top view of the whole building and will be able to get a better idea about how a particular building would look after the completion of the construction process. You can even add more innovative ideas to the plan and make your building more beautiful with the help of this technology. 3D Floor Plan is important when you plan to build a home or a big complex. This technology actually helps to measure every nook and corner, thus making it easy for architects to visual data into real time construction. Any kind of flaws regarding the design can be found out easily and architects will be able to rectify the flaws easily. To give clients a realistic impression, custom textures, furniture and bright colors are provided to this virtual building. The 3d floor planner provides you with the advantage of organizing the rooms pretty well and helps the architects in deciding on where to set the connecting doors for easy access. This technique would also come in handy when you choose to renovate or add an extension to the existing building. Thus, the use of 3D floor design can help clients as well as architects a lot. Our made 3D Floor Plan seems real like before these plans come in object. Rendering Service provides clear visibility for designers who can rearrange induction of windows, doors, rooms, and the elevation of the room’s details. 3D Interior Rendering and Design assistance to know more about all the rooms in detail with their Texture of wall, color, materials, fixture, arranged furniture and finishing. Our company skilled experts make site plans perfect realistic with photographic quality as per your requirements. In this way designers can make final plan after seeing Home Plan. Our Studio Have Created Best Villas, 3D Section Plan, Interactive 2D And 3D Commercial Floor Plan And 3D Residential Floor Plan. Cross Graphic Ideas 3d Studio offers these above mention services to Architects, property developers and realtors. With these services you can convince those property buyers who are interested in buying your properties. Cross Graphic Ideas 3d Studio has team of experienced designers who can provide you with the best and quality 3D home floor plan you would need while planning to build a house for yourself. We are fully capable to transform the straight lines drawn by the architect into visualized floor plans displaying each and every area with a deep analysis. The visuals displayed with the help of the floor plans will help the buyer in making a quick buying decision concerning the property. To discuss about your 3D Exterior Rendering Requirements write us at prakashs@crossgraphicideas.com Contact us to discuss about your requirements with our professionals. 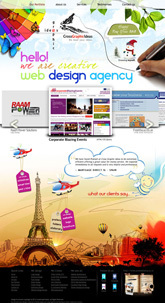 Are you looking for any designing agency? How about choosing the best one? Cross Graphic Ideas is a full-service designing agency with the 3D studio based in Jaipur Rajasthan. With years of experience, we are purely dedicated to create unique and outstanding designs and deliver an amazing customer service you will ever experience in your life. Graphic designing is not a simple task. You play with visuals and elements and create reality through imagination. You need to be very creative and unique in terms of imagination. Whatever we create is deeply appreciated by our clients. We just don’t build websites, our aim is to help our clients grow their businesses and to enhance their services. Think of Cross Graphic Ideas like the “Business” Web Design Company. With the help of the latest technology, design trends, and online marketing, we help to bring your imagination come true. Every project we work on is based on in-depth research and experience to fulfill our clients’ requirements. Using our strategic planning and dedication, we help our clients to increase the market efficiency to run their businesses more smoothly. Cross Graphic Ideas is also specialized in logo design, corporate identity design, branding, website design, print design along with 3D Rendering and Architectural Visualization, 3D Walkthroughs, 3D Stall design, 3D Exterior, and Interior. Apart from this, we deal with all kinds of stationery products like letterhead, business cards, flyer, brochures, posters, CD covers, book covers, etc. We are dedicated to providing vibrant quality designs using advanced technology at a very reasonable rate. Our brand has a passionate group of designers and artists with special skill sets along with developers, project managers, writers dedicated to serving the best service to the clients in every form. We work with the clients and they become a part of our team. We create websites which are SEO/Google friendly, eye-catching design/good Visual Design, user-friendly/thoughtful user interface, high-class graphics, XHTML, CSS3 based, Cross Browser Compatibility, Web Optimized images, Google Statistics, along with tracking and analytics. Technology has made our lives way more than easy but now, what’s next? What we believe is that the next thing is in the hands of people who are living in this digital world because it empowers people. There is a way that your brand becomes more human-centric. According to us, we need a deeper understanding and collaboration, powerful storytelling along with perfect marketing strategy, social media management, data analytics, and business intelligence and content marketing. When one talks about enhancing customer’s experience, technology plays the biggest role. Over a period of time exposure due to technology has started increasing exponentially every day. The technologies for consumers, designers and developers are growing as well, yet it seems as the technology can expand further. In this technology a simulated environment is created. People view the screen in front of them, which creates a 3D world like ours. Due to this technology people are able to experience situations which they never thought of. It is also being used in architecture these days. The main problem with this technology is the communication of design to the client, developer and so on. 3D architectural walkthrough used in virtual reality gives complete details of the project before the project is even started to be worked upon. In this technology, computer generated images are brought into the real world, which creates interactive experience for the customer. It is becoming popular because it actually brings substances from the virtual world into the real world. In industries like real estate or construction, augmented reality is an upcoming useful technology. With the help of 3D Walkthrough Animation, one can convert an unfurnished home into a furnished one through augmented reality. Though, this can be seen in front of a screen only. In this technology lots of cameras are used that create (virtual) reality and people think that they are a part of it. It captures a high quality of hologram in 7 dimensions. Once this technology is experienced, people cannot forget it. It also gained huge popularity in very less time like others mentioned above. Due to these simulations of technologies, one can experience situations which they never believed they could. Once it is started to be implemented in all fields, the perspective of life would be upgraded to a whole new level. 3d Interior Design and Rendering or 3D rendering, as it is usually called, is an invaluable tool in the hands of builders, homeowners, exterior, architects and interior designers alike. With these new technologies, architects are able to give their work a new dimension. They are now able to keep a view of their finished work by preparing a model of their design with the help of software that enables them to see the immediate appearance of the finished product. In combination with architects, designers, 3D interior design and 3D rendering software to create a detailed design of the interior of the buildings in order to meet the project. This technology is cost-effective price and simple – it’s minute details and reveals flaws and very realistic in terms of making it a great choice for color, lighting, comfort and texture to experiment with it. Interior 3dRendering and 3d Interior design helps architects, home-owners, & builders to get a good idea about how to go about the planning and processing of the interior designs of the buildings. It enables designers and architects to prepare a 3D interior plan that they can put on paper and, finally, after approval from the investors or homeowners, can work on the project site. This process can also help them potential flaws plan to look into it, thus giving scope for them to have the same right. 3D Interior Rendering is also important to let the interior designers and architects get a better view as to what their final design will look like. The whole purpose of the process of 3D Interior Rendering is to create a 3D Interior based on the designers and architects ideas. The designers can take a closer look at the designs that are created by him or her. This technology helps both the architects, interior designers as well as those with the construction business to create a 3D model of the interior and the exterior models of the buildings. Be it the latest variety of imported marble, the gorgeous teal color that you liked on someone else’s wall or the huge king sized teak wood bed that you think would look perfect in your master bedroom- you have no way of actually knowing whether all these elements will mesh well together or just look like a haphazard assortment of various objects and colors- but 3D Interior Rendering helps you clear your doubts. A skilled 3d rendering professional has the ability to change the look and pattern of the house or building by playing with different colors, patterns, and textures to give the house a new look and dimension. This is a affordable and effective way to figure out the look, understand what you want, and make sure that you accommodate all changes before you start the work and ensure that you do not need to waste time, resources & money on things which you do not like in the first place.